Website example above is also a template for you to copy! We've created a website example for you to follow. Use this website to understand how to structure your website. 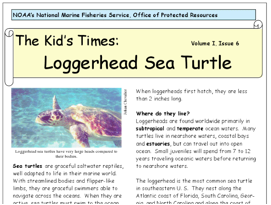 Click HERE to go to the Endangered Species Research Project Website Example. How Do I Copy the Template to My Website? STEP 1: Log in to your Google Account and go to sites.google.com. Then simply select the red "CREATE" button. Be sure to select Classic Sites. STEP 3: Simply click the Featured category and search for "Correia" and submit the search (hit return/enter or click the search button). 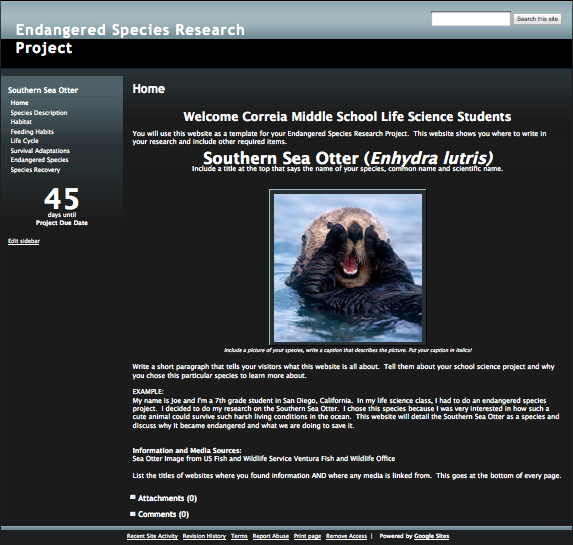 STEP 4: Select our project template, Correia Life Science Endangered Species Project Template. Be sure to hit the blue Select button! Note that the template looks a bit different now. It now has a light background instead of dark. 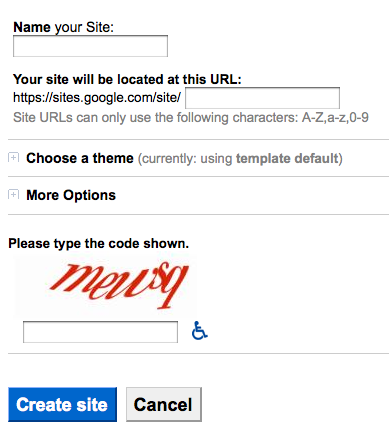 STEP 5: After selecting the template, enter in the rest of the details to create your new website. Read below to carefully name your site URL. What do I name my site!? VERY IMPORTANT, PLEASE READ! Here's an easy format for you to name your URL (the web address where your website will be located). It will also make it very easy for your teacher to find your website for grading and help. PLEASE NOTE: The title of your website can be different than the URL. You can always change the title later but you are NOT allowed to change the URL. Having TROUBLE with the links above? The links just below can be problematic. Log into your Google account first. Here are some helpful pointers. Try the following before asking your teacher for additional help. Wikipedia is a very good start for most species. It is very important that you read the ENTIRE page. Ask your teacher for assistance if you need help understanding a section on the Wikipedia page for your species. At the bottom of the page you will find links to additional resources. There are typically 3 sections at the bottom that will contain links to other resources: Notes, References, and External Links. Use these! What does the scientific name mean? You will need to find out what the genus name means as well as the species name. Sometimes you can find this on Wikipedia. Search for your species then scroll down the page to the taxonomy section. If you are doing a reptile or amphibian, the meaning of the scientific name can easily be found on the California Herps website. The last way to find out is to copy the genus name into a Google search and add the word latin. Since most scientific names are latin, this will often work. If not, replace the word ‘latin’ with ‘greek’. While some students will find Wikipedia to be a great resource, many others find it to be only a good start. Since your species has been listed by the State of California, you should be able to find a number of great resources through our government. You need to know how to find these resources! Another outstanding source for information is through colleges and universities. Using quotes helps search exact phrases. Try putting your species’ common name in quotes for better search results. Add to the search site:gov to find only government websites related to your search phrase. You can also use site:edu to find only university websites. This works for images as well. Dot-com websites simply aren’t great resources. Download these documents to the desktop or to a separate folder you’ve created in the document folder. You can also save these files to a flash drive. Documents are VERY useful for your project and in some cases may be very valuable sources loaded with information that may not be available on websites. Download as many as you can. Some documents are short and simple while others can be lengthy and very comprehensive. Don’t get overwhelmed by the huge documents. They too can be great resources! 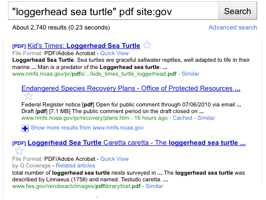 Above shows searching for government documents and example of a resource file downloaded. Since your website will be available to the public, it is very important that you have permission to use other people’s work. This includes photos and other images! It may seem harmless, but using other people's pictures without permission is illegal. Copyright law allows an owner of their work to take legal action against anyone using their work without permission. How can you find out if you have permission without having to ask the owner? After clicking an image in Wikipedia, there's lots of information about the image at the bottom of the page. 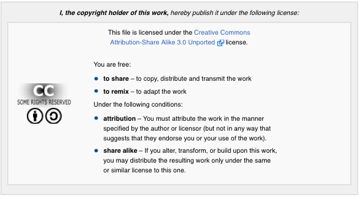 In the example above, it says the image is in the “public domain”. This allows me to use the photo as long as I tell visitors of my website where the photo came from (an image source or citation). If gaining permission or looking up permissions for Wikipedia images are too difficult and time consuming for you, there's a better option! Any work that was completed by the government belongs to the public because of FOIA or the Freedom of Information Act. FOIA essentially states that any work done by our government is public domain. For this reason, the BEST way to know you will have permission every time is to use any photograph is to always use government images. 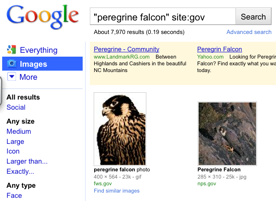 Use the site:gov in your search for images, and ALL images will come from government agencies. All you need to do is list the name of the source (for example, Fish and Wildlife Service). Your species will likely have LOTS of government images you can use. Examples of searching for government images (left) and a special permissions on Wikipedia.